Reel in your number sense by catching combinations of 10! 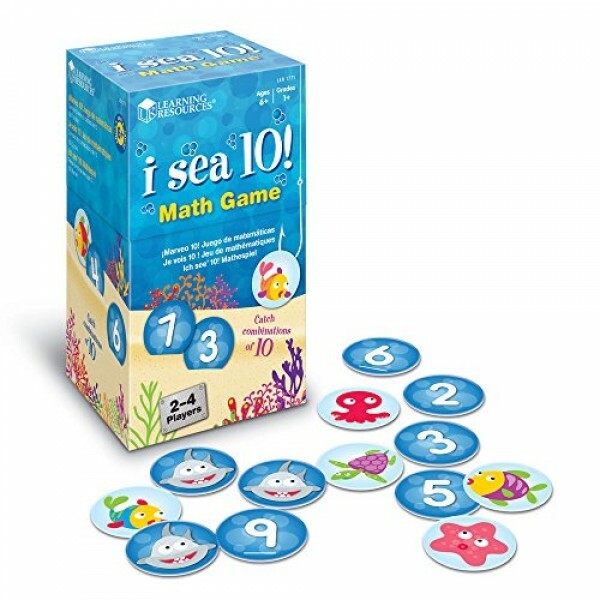 This game's sea-themed container holds illustrated cards with numbers on the reverse. Players take turns flipping cards to show numbers and shout out "I see 10!" when they see combinations of numbers that together make 10. Collect the most 10s and win! Just beware of the hungry Shark cards -- pull one and your whole catch goes back! This game includes 100 cards (90 number cards, 10 Shark cards).